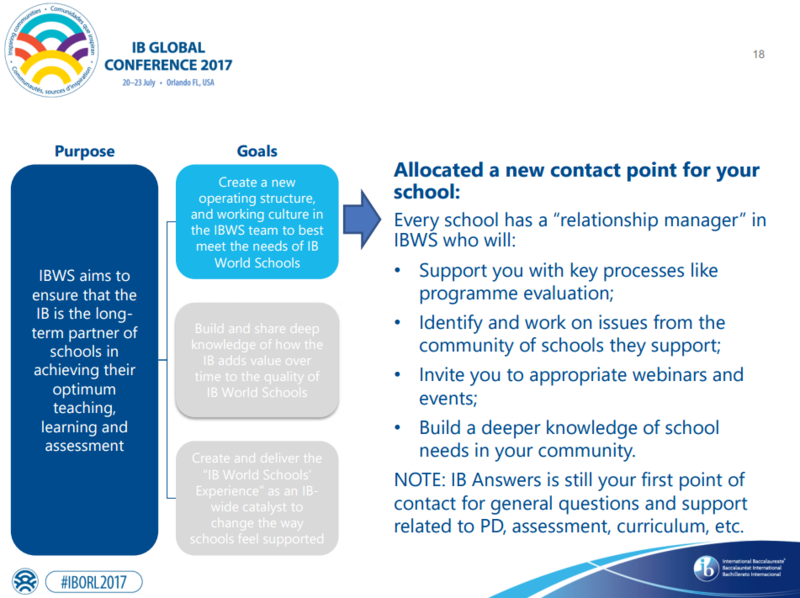 We have been re-organizing ourselves in 2017 to provide a higher level of service to IB World Schools by creating the IB World Schools (IBWS) department. We all share a commitment to values-based international education, and we know that no two schools are the same. So we are working to systematically help you at a global level while retaining regional expertise, and creating a more personal approach. How will we do it? 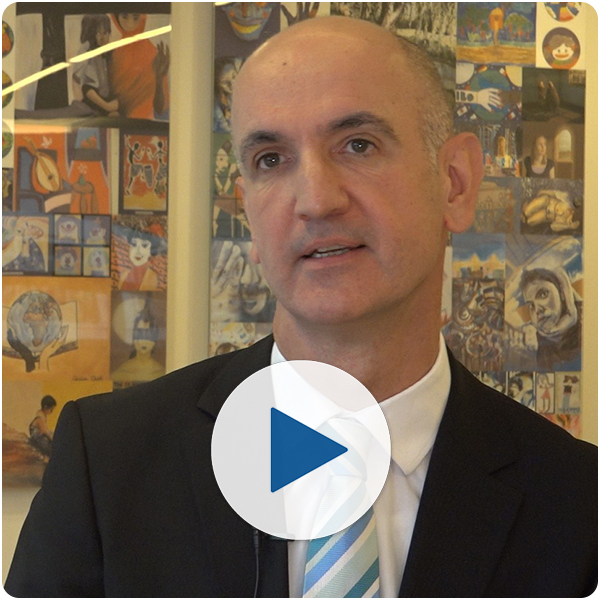 Watch Adrian Kearney’s video to hear directly from the Director of the IB World Schools department why we are making this change and click on the tabs below to find out more. UPDATE: If you haven’t already heard from yours, a new relationship manager will be contacting you to introduce him- or herself.In the meantime, find out more about the relationship manager role below and continue to reach out to your usual contacts. WHEN and HOW will we do it? What is the role of your relationship manager? As a school progresses through the interested and candidacy phases towards authorization, they each have the support of assigned persons at the IB to help them at each key stage. That model now continues after their authorization, ensuring that they receive ongoing support for the key stages in their IB experience once they become an IB World School. That support comes from the relationship managers in the new IB World Schools department. The role of the relationship manager: There will be times when your school needs an extra degree of expertise and support, tailored specifically for your school and in addition to the usual day-to-day support services available from us. For example, you might need help preparing for evaluation, or may want to discuss specific professional development needs. When these times arise, each school has an assigned relationship managers that they can call upon. Each relationship manager manages a portfolio of schools. Their goal is to understand the specific needs of schools in their care and those of other schools with similar goals and challenges, both locally and globally. They support their schools at key stages of their IB journey, and will conduct one-to-one research with their school contacts that feeds into a continuous programme of service improvement to our school community. The role of the IB Answers team: For day-to-day support about our programmes, assessment, and professional development options, the IB Answers team continues to be your first point of contact. And now there’s a new IB Answers service—accessible via My IB—that provides thousands of support articles, multi-media content, real-time support and faster resolution to the pressing needs of the IB community as they need it. This is a slide from Adrian’s conference presentation in Orlando, July 2017 (see full presentation on the next tab). Kevin House, Fidelis Nthenge, Stuart Jones, David Weiss, Gregory Biggs and Toby Courtney-Thomas are supporting Adrian Kearney in leading the new IB World Schools department. Their shared vision is for the IB World School community to feel like valued partners in pursuit of our shared mission. They seek to ensure positive experiences with IB services and support to help promote trust and advocacy within every interaction. This will be achieved through building closer relationships, deeper levels of engagement and greater understanding of school needs while reducing the level of effort in doing business with us. Overall, we want our schools to feel assured, engaged and well supported throughout their journey with the IB. 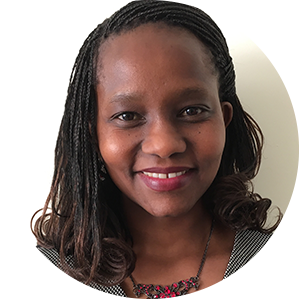 Fidelis Nthenge joined the IB in 2011 as the Schools Services Diploma Programme Manager for Africa, Europe, and Middle East and was most recently the Head of School Services for that region. She previously spent 14 years with the Aga Khan Education Services in East Africa as head of two IB World Schools in Kenya and Tanzania. Fidelis was instrumental in taking these schools through their authorizations for the Primary Years (PYP), Middle Years (MYP) and Diploma (DP) Programmes, while supporting the IB in a variety of IB Educator Network (IBEN) roles as a workshop leader, examiner, DP curriculum committee member and school site visitor. Kevin House joined the IB in 2015 as Head of School Services in Asia Pacific. Previously, much of Kevin’s time was spent as a school administrator in IB World Schools in Asia Pacific, as well as many years in international schools across Africa and Europe. As an administrator, Kevin developed a first-hand understanding of the specific opportunities for and requirements of IB World Schools in the exciting and diverse Asia Pacific region. In addition to his school leadership roles, he has been an IB consultant, visiting team member, and workshop leader. Kevin is deeply committed to the IB’s values-based educational continuum, which continues to be enriched by the increasingly diverse schools joining the IB community. To further the development of these schools, he has concentrated on continuing to improve the service aspects of his department’s work and believes we should do much more to capture and understand the customer experience of our schools. Stuart Jones worked as a teacher for over 20 years in a variety of public, private and international schools. He helped implement IB programmes and also served as a workshop leader, site visitor and consultant. His first role in the IB was in the School Services department supporting schools during their implementation of the Diploma Programme. 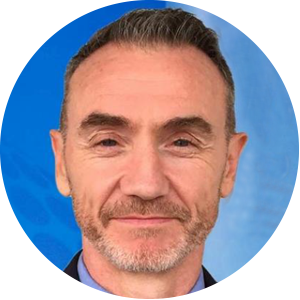 As part of Stuart’s recent professional development (PD) work in Asia Pacific, he focused on improving access to cost-efficient PD for the whole IB World School community, and to support the development of professional learning communities. As part of this strategy Stuart has worked closely with Malaysian, Japanese and Australian government departments on providing accessible PD to support the implementation of IB programmes in public schools. 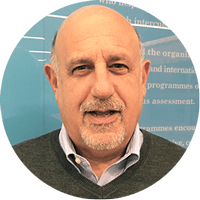 Update 29 November 2017: David Weiss has been involved in IB education since 1983, when he became the IB Coordinator of South Side High School in Rockville Centre, New York, USA. He taught IB history and IB psychology for 18 years while at the school. South Side became a formal replication site for the Sharing Success program, as a model for public schools utilizing the IB Diploma Programme. While at South Side he was the co-founder and president of the Guild of IB Schools (GIBS). He then spent a decade as a school administrator at the building and district level in the Commack Public Schools (NY), developing both a Diploma and Middle Years Programme. He was active in gaining recognition at the state level for the IB. For the last six years he has been Superintendent of Schools for Long Beach City School District (NY), developing both a DP and MYP programme. Long Beach HS was recognized as a national School of Opportunity for its commitment to equity and excellence. He served on the board of the New York State Small City Schools Association as a member of the Executive Committee of the New York State Blue Ribbon Commission of the Arts. His undergraduate degree is from the University of Rochester and his master’s is from Hofstra University. He has completed additional graduate studies at Long Island University. 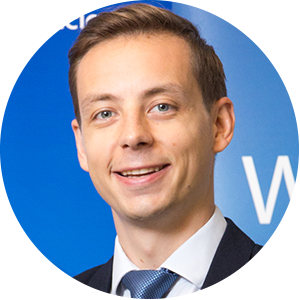 Gregory Biggs has four years’ experience at the IB spanning several departments. Gregory brings unique expertise when looking at micro and macro level issues for schools and the IB programmes. Most recently, he provided key insights into global dynamics and performance challenges in relation to the Diploma Programme (DP), providing the organization with a perspective of key trends and issues that require support and action. He previously oversaw the monitoring of performance and planning in relation to the launch of the ‘stand-alone’ Career-related Programme (CP) when the IB Board of Governors approved access to the programme for schools that did not already offer an IB programme. Before the IB, Gregory worked across the Middle East and South East Asia, in a business development role, designing and delivering education reform projects on behalf governments and ministries. A first-class business graduate, with a Master’s focused on education and international development, Gregory brings a blend of understanding that bridges the education and business ‘worlds’. 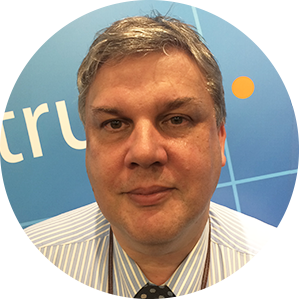 Toby Courtney-Thomas joined the IB in 2011 as the IB Answers Manager and became the Head of Customer Service in 2015. Previously, Toby spent 15 years working in customer service operations management and IT roles recently managing global support teams for Deloitte in Prague, Czech Republic, and more recently as the head of technical and customer services for a firm in Cardiff, Wales. He currently manages the global IB Answers team, and the experience improvement team. 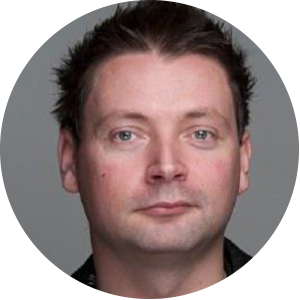 Toby’s expertise is in ‘Customer Experience’ and he is a member of the global CX Professionals Association. Toby believes that great experiences and service must come through actively listening to our community and developing a deeper understanding of school needs with a view to making dealing with the IB easier and more enjoyable. We understand how important it is to listen to our community to help us learn and continually improve the services we offer and ensure they remain relevant and effective. We will adopt ways for you to tell us how we are doing and to make suggestions on how we can improve. We know how important your time is, and we seek to minimize the effort required to administer the IB, allowing you more time to help us deliver our shared mission. We commit to resolving your questions more quickly. We recognize and value your work in helping us to achieve our shared mission. You should feel assured that we have your best interests in mind at all times, and when you do contact us, we will make sure your experience is an enjoyable one. We seek to be your trusted partner in helping to achieve our shared mission, and we will be with you every step of the way. Q: Where does the new IB World School department fit within the broader IB organization? A: IBWS is a department within the Schools Division. Adrian Kearney, Director of IBWS, reports to Andrew Macdonald as Chief Schools Officer of the Schools Division. Q: How do I know who to contact, is this our assigned contact or IB Answers? Update 24 October 2017: A: IB Answers will continue to be your first point of contact providing support for your day-to-day questions. The role of your assigned contact/relationship manager is to understand your specific needs and those of other schools with similar goals and challenges, locally and globally. There will be times when your school needs an extra degree of expertise and support, tailored specifically for your school and in addition to the usual day-to-day support services available from us. For example, you might need help preparing for evaluation, or may want to discuss specific professional development needs. When these times arise, each school has an assigned relationship managers that they can call upon. Each relationship manager manages a portfolio of schools. Their goal is to understand the specific needs of schools in their care and those of other schools with similar goals and challenges, both locally and globally. They support their schools at key stages of their IB journey, and will conduct one-to-one research with their school contacts that feeds into a continuous programme of service improvement to our school community. Q: When will the department be launched? A: Starting March 2017, the department will roll out throughout the year. Q: What are the goals of the department and what will change? To gain an intimate understanding of our schools so we can provide the right services to support continual improvement. To build effective and engaging relationships with our schools that strengthen a sense of community and shared values toward our mission. We will strengthen our relationships with you and achieve this new direction together. We will provide you with a dedicated contact person whose role it is to understand your specific needs and those of other schools with similar goals and challenges, locally and globally. We will connect you more effectively with one another, foster collaboration and knowledge-sharing between you, making you an integral part of our global IB community with shared interests. We will provide faster responses and resolution of your queries and clearer communications. Q: Will I be communicated with regarding the progress of IBWS? A: Yes, we are planning regular communications throughout this transition to keep you up to date on our progress. Q: As the new department will be working globally, will I lose my regional contact? A: We can’t guarantee you will be working with the same person you did previously but support will be available in an IB office nearest you, staffed by many whom you already know, to ensure continuity of understanding and relevant, timely support. Q: How will IBWS work with other departments in the IB? A: Our aim is to ensure your experiences and interactions with the IB are positive. We will use the knowledge we gain, and your feedback, to work with departments across the IB to ensure that we provide efficient, valued and professional services to you. Q: Will this change how I book professional development (PD)? A: No, you can continue using your normal channels for booking professional development (PD), and the new IBWS team will work with you to explore your PD needs. Q: Does this team deal with finance issues? 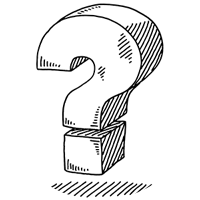 A: This is not a primary function of the team, but they will be following up with our finance department when there are billing problems or issues with payment to help resolve your issues more efficiently. 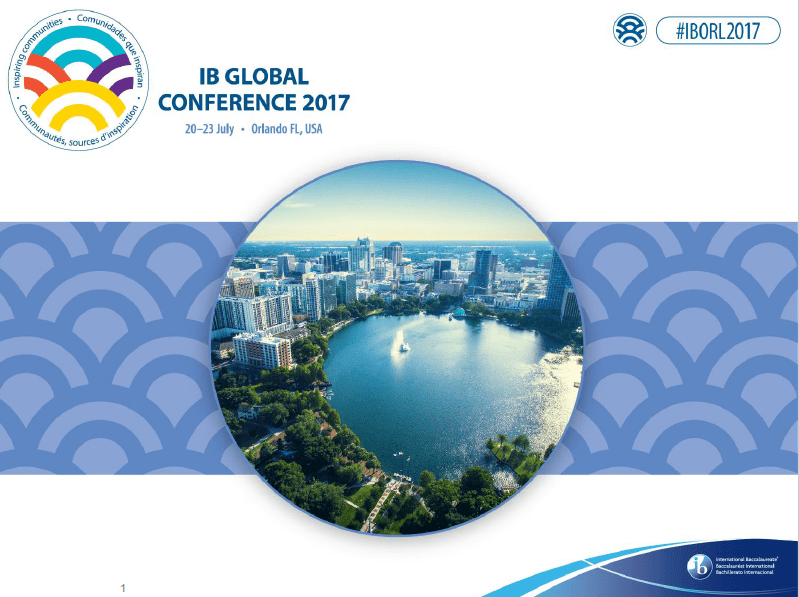 Here is our IBWS presentation from the IB Global Conference in Orlando on 22 July 2017. We filmed the session and will share the highlights video here soon. Using the contact data that you have registered in My School we have sent out the following communications to keep you abreast of developments with the new IBWS department. If you have not been receiving these communications or would like to provide feedback to improve them, please email us at communications@ibo.org. May 2017 newsletter: IB in Practice was sent to all heads, coordinators, IBEN and examiners to announce the new department. April 2017 email: Are you a head of school and did you get this email that launched the new Heads Engage online community and shared information about all the free community support webinars, more IBWS webinars, and other news? April 2017. If you’re a head of school and you didn’t get this mailing, check that your details are up to date in My IB and email us at communications@ibo.org to let us know. March 2017 webinar invitation: Here’s a sample of the meet the team invitation. February 2017 letter: We sent a hard copy letter to all heads of schools in March 2017 to draw attention to our communications and ensure that you are receiving the right information. For coordinators: IB coordinators will be invited to webinars in the coming months that focus on what the new IBWS department means specifically in relation to their coordinator role. Until then, please continue to liaise with your usual contacts. Who to contact? Please continue to liaise with your usual contacts until advised otherwise. IB Answers are always available to help and you can contact communications@ibo.org with any communications-related queries. Support will be available to you from experienced staff you already know to ensure continuity of understanding and relevant, timely support. Update 24 October 2017: Additionally, you will have an assigned contact whose role it is to understand your specific needs and those of other schools with similar goals and challenges, locally and globally. There will be times when your school needs an extra degree of expertise and support, tailored specifically for your school and in addition to the usual day-to-day support services available from us. For example, you might need help preparing for evaluation, or may want to discuss specific professional development needs. When these times arise, each school has an assigned relationship managers that they can call upon. Each relationship manager manages a portfolio of schools. Their goal is to understand the specific needs of schools in their care and those of other schools with similar goals and challenges, both locally and globally. They support their schools at key stages of their IB journey, and will conduct one-to-one research with their school contacts that feeds into a continuous programme of service improvement to our school community. You will be connected more effectively with one another, fostering collaboration and knowledge-sharing between all types of schools, and making you feel more a part of a global IB community with shared interests. Your queries will be both responded to and resolved faster, and you’ll receive clearer communications. IB Answers is now part of our department and is responsible for resolving your service-related queries. We will strengthen our relationship with you and follow this new direction together. Update 24 October 2017: Have you seen the new IB Answers application in My IB? It contains thousands of help articles and multi-media content to resolve your queries faster. RESOURCES & SYSTEMS – My IB is the gateway to the IB applications and resources you and your staff need using one username and password. Programme coordinators, heads of school, and IBEN members are automatically registered with My IB – they can use their My School and/or IBEN Central username and password to login. All other school staff need to register themselves following these simple steps. To support every school in achieving their optimal best. The department has been set up specifically to help your school achieve its optimal best through engagement, understanding and great service in pursuit of our shared mission.